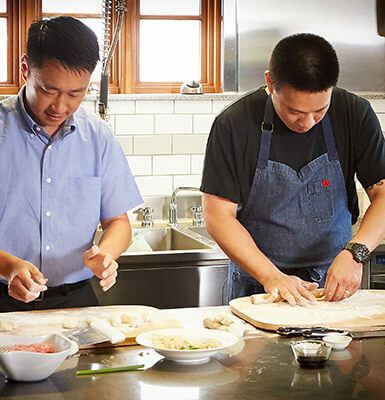 Chef Chris Cheung hates repetition, so he makes it a point to keep trying new things, including one very ambitious endeavor: launching successful eating establishments. “I’ve opened my share of restaurants before,” he says, downplaying the significance of the accomplishment and the fact that he took time out to speak about Cooking & Culture for Hormel Foods on the inaugural day of his second East Wind Snack Shop. Admittedly, he has a soft spot for the company. His new restaurant, a sister to the first spot in Brooklyn, is on Broadway in New York’s SoHo neighborhood, a longtime favorite of many of the city’s artists, hipsters and trendsetters. “It’s a dumpling place,” he says, proving yet again that Chris is nothing if not a master of the understatement. Though it’s casual with unpretentious fare, the concept nevertheless gets rave reviews. “This is a place you rarely find, and when you do it’s heaven,” one diner wrote on Yelp. Indeed, Chris has been working his magic for a quarter century, beginning inauspiciously when he — in his words — “fell into cooking.” A friend gave him a prep job in his restaurant’s kitchen. Chris was fired from the position two weeks later, but the experience was enough to light a spark in him. He soon found another kitchen job and eventually, enrolled in the New York Restaurant School. 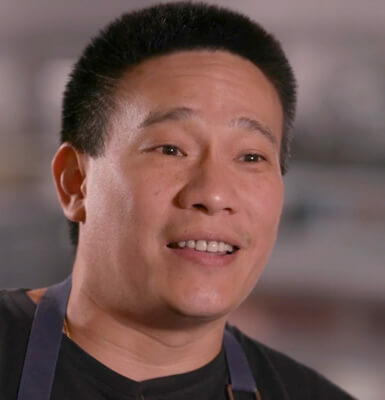 Though Chris had family support, becoming a chef wasn’t an obvious career choice, given that his parents “were not into cooking.” His uncle, however, owned a dim sum coffee house in New York’s Chinatown during the ‘60s and ‘70s. Chris was the beneficiary of his recipes and his wisdom. 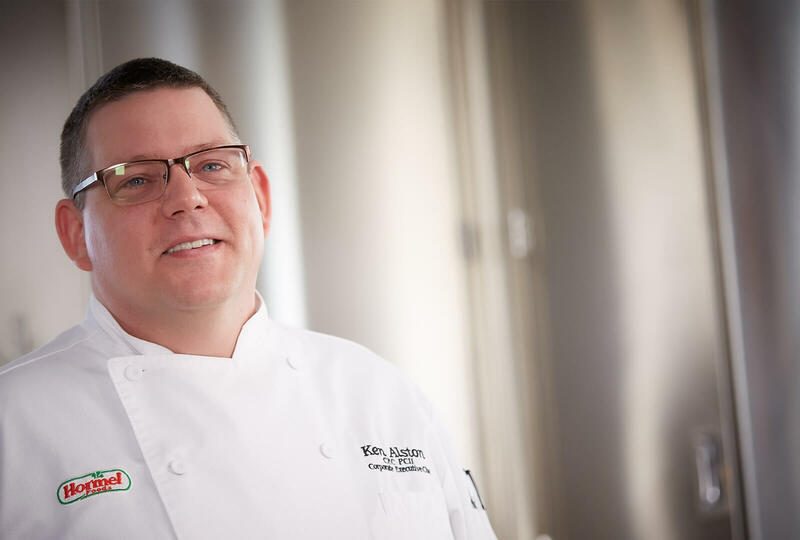 Following his graduation with honors from culinary school, Chris went to work with Chef Jean Georges Vongerichten at Vong, an upscale Thai restaurant. Afterward, he studied under Iron Chef Morimoto Masaharu and lent a hand in the opening of a number of three- and four-star restaurants. I love & appreciate free time, but I don’t seem to get a lot of it. All the while, his Chinese heritage was nudging him. “I grew up in the heart of Chinatown. I was a full-out Chinatown kid,” he says. “I’m talking ducks in the windows. That sort of thing. I lived on that for many years.” When his family moved to Brooklyn, it gave Chris a “more American view.” His neighborhood had some cultural diversity. Irish and Italian residents, for example. 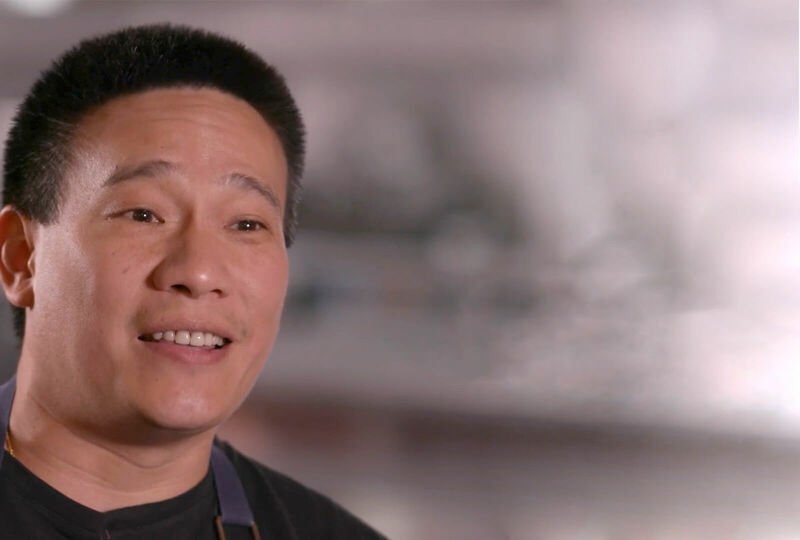 Evermore inspired to bring his ancestors’ cuisine to America, Chris returned to New York City to work beside Chef Lam, a Hong Kong dim sum master. 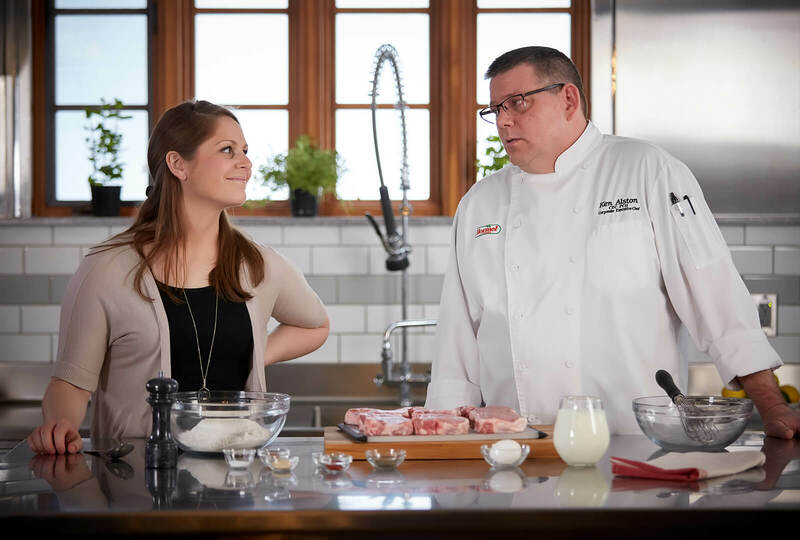 As word of his knowledge and expertise spread, he landed roles on Food Network’s “No Reservations,” “Chopped” and other programs. He also earned a well-deserved reputation as one of America’s best purveyors of Chinese cooking. These days, it’s all about perfecting recipes for his New York and Nashville restaurants, and the seemingly endless cycle of training, paperwork and marketing. 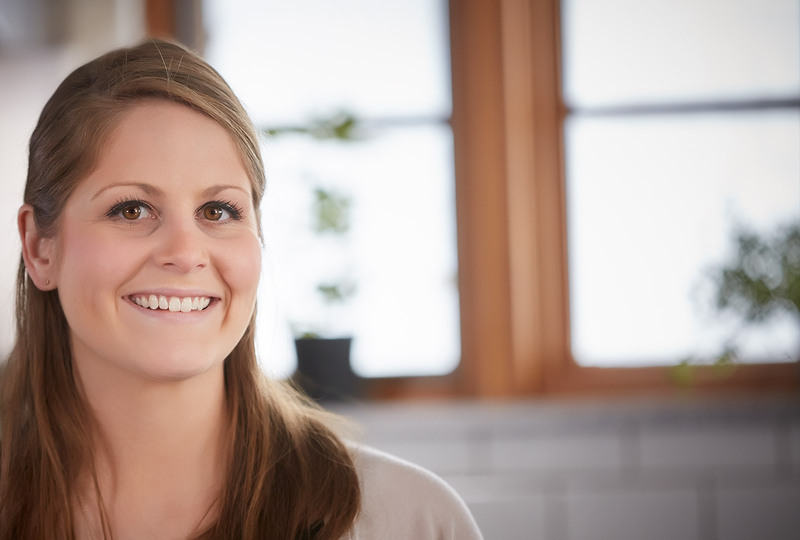 Finding time to participate in Cooking & Culture for Hormel Foods is yet another way of “keeping it fresh” for this busy chef. And Chris is all about bringing good taste to everything he touches. “I grew up with Chinese food being looked on as cheap and greasy, and now it’s seen as a great cuisine. I’m proud to have played a part in that. I’m still in the game, so there’s more coming,” he says.